There are 5 species of hamster, each with their own needs and requirements, and each having different suitabilities to being a pet. In the wild they were extremely territorial over their area, and would fight to the death with other small animals for the right of that area. 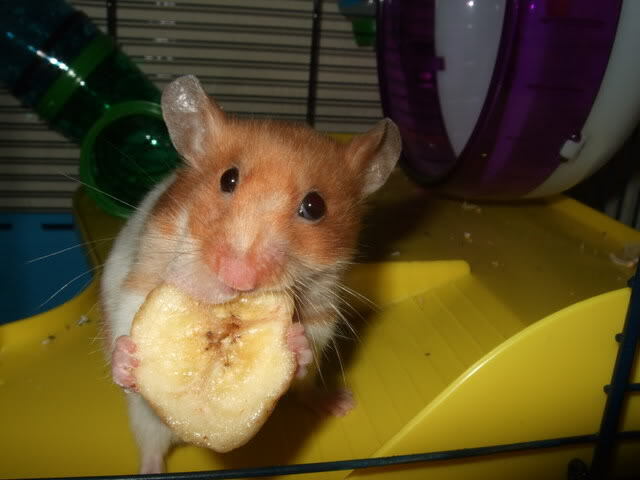 Now Syrian hamsters are one of the most popular hamsters as pets. Being the largest and slowest of the hamsters they are seen as the ideal first pet. Growing to around 15cm they are seen as great pets for small hands, and are often bought for children as a first pet. Althought they can be tamed, they can not be housed together under any circumstances. However, pet shop bought hamsters, of any variety are often commercially farmed to meet the demand of the public. This leads to problems of socialisation and tameness, as until arriving at the pet shop they will have seen humans only as a source of food. They will rarely have been handled. Unfortunately many people do not expect this and are shocked that their new pet is 'aggressive'. This is often just fear, and with time and perserverance you new pet will become tame. The Chinese hamster originates from the deserts of Northern China and Mongolia. Chinese Hamsters can be social hamsters and are often kept in male groups. Females are more often kept alone, as they can be much more dominant than males, and will fight to kill. Fighting within groups is normal but should be monitored and seperated as needed. This could mean needing to house lots of single animals. Chinese hamster can be very timid animals, and although they can be tamed, they are very fast if they have the chance to escape. They are much slender than the Syrian hamster, and look much more 'mouse like' with a long slender nose and the longerst tail of the hamsters. These hamsters grow to around 10cm in length. They are often mis-classed as a dwarf hamster due to their small size, but are in fact in a class known as Rat-like hamsters. 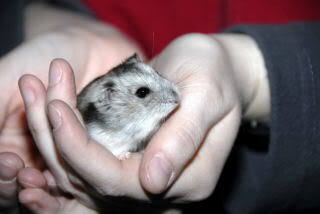 There are three breeds of dwarf hamster commonly available in UK pet shops. These are Roborovski, Winter White (Russian) and Campbell's. Originating from a similar to the Chinese hamster, these hamsters are much smaller than their Chinese cousins, growing to around 5-6 cm in length. 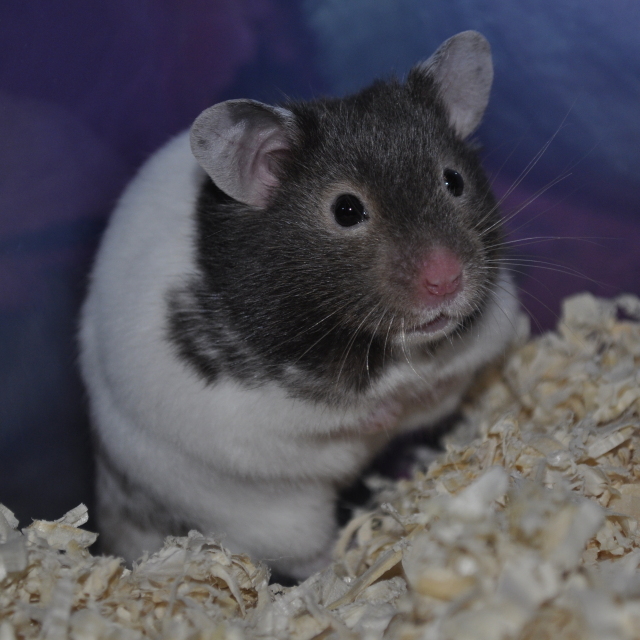 Robo's are often mis sold as children's pets, however, these are the quickest of all hamsters and are very active. They do not handle well even in adult hands and are much better just to watch. Due to there active nature Robos need a large cage with plenty to do and entertain. They do have the best temperament and very rarely bite, and even if they did it wouldn't be too bad with such a small mouth! This hamster originates from Eastern Kazakhstan and South West Siberia. The Winter White Hamster are approximately 8-10cm in length when full grown. The Winter White is so called because of its white winter coat. The coat does this due to the shorter daylight hours. The hamster's coat may become lighter, have white patches or become almost completely white. Winter Whites make good pet although because of its small size it can be difficult for small hands to handle. They are also not as tolerant of clumsy handling and have a tendency to nip, when inappropriately man handled. Originating from North East China and Mongolia. The Campbells is approximately 10-12cm in length when full grown, Being the largest of the dwarf hamsters. They are able to squeeze through the bars of some hamster cages and so cages designed for mice, glass or plastic aquariums make more suitable cages. The average lifespan of the Dwarf Campbells Russian Hamster is 1½-2 years although they can live longer.